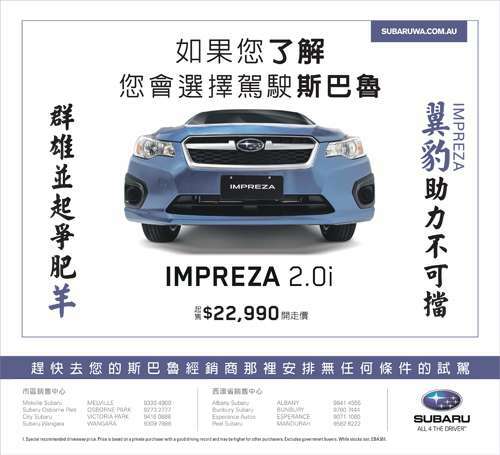 We recently completed a major project for Subaru WA & SA promoting the Subaru Impreza (See the Case Study on OUR WEBSITE). Our creative team worked tirelessly to meet a tight deadline to be on air across almost all the TV Channels in WA & SA for February. The shoot took place over 2 days, with overt 20hours spent on set in a specialised studio built to accommodate a vehicle. The production team had an editor on site to review the footage as it was being shot, so we knew we were capturing quality footage for post-production. 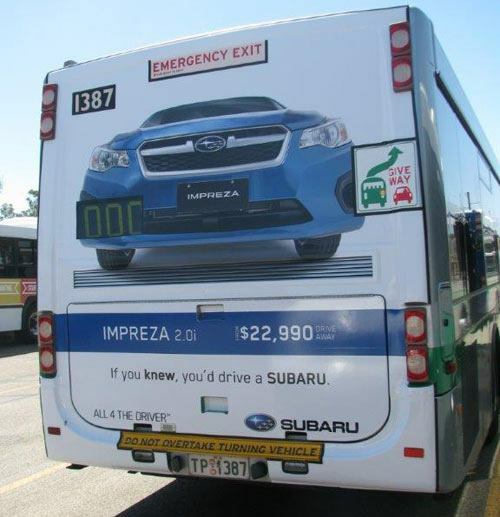 Stills taken on the day were then edited in Photoshop for use in the Press, the Subaru Website and on the back of Transperth Busses. We’ve put together 2 animations showing the layering done in Photoshop. VIEW IMAGE 1 | VIEW IMAGE 2 (Please be patient as these animations are approx. 1mb each). After the first day’s test footage was shot, the Production Crew set to building custom Light boards and reflectors as well as a massive parachute to enclose the top of the studio – giving us total control over the lighting conditions. The camera operator was also dressed entirely in white, and the steady-cam was also covered in white tape in order to minimise reflections. The filming proceeded exactly to schedule, other than a brief interruption from English Cricket Team Captain, Eoin Morgan, who was on site for a Photo shoot and interested in the goings-on in the studio next door! The completed TV Commercial went to air the next day, with positive comments from Dealerships and Subaru – we look forward to seeing encouraging sales data in the coming weeks.